The recently established Jordan Mountaineering Association is committed to professionalizing the mountaineering sector in Jordan, which will boost growth and spread prosperity to local communities. USAID support for associations like JMA is creating a business environment where micro and small enterprises can flourish. A USAID Assessment of the Mountaineering Sector in Jordan estimates adventure travel has the potential to generate over $10 million USD in direct and indirect revenue for micro and small enterprises throughout the country. Industry operators and guides say that professionalizing the industry and improving operating standards could lead to huge growth in the sector. (Photo courtesy of Murad Jan Arslan). Jordan has long been known as an international tourist destination replete with historical, cultural and religious sites. The country is also fast gaining a reputation as an exceptional place for adventure travel. Jordan’s mild climate, extensive hiking trails and magnificent canyons make it an ideal location for year-round outdoor adventure activities. , and, while there are numerous experienced guides and operators, there is a need for consistent safety and environmental regulations and standards to ensure the long-term growth and sustainability of the sector. The USAID Jordan Local Enterprise Support Project (LENS) was one of the first entities to identify the huge potential economic impact of a strong, formal and organized adventure tourism sector in Jordan. In 2016, USAID LENS performed field assessments of key canyons in the country to identify associated risks and opportunities that can be addressed through various interventions. In addition, the Project began holding a series of regular meetings over a period of almost 2 years with key stakeholders in the hiking and climbing industry, the majority of whom are MSEs, to discuss and plan out a possible structure for the Jordan Mountaineering Association. The Jordan Mountaineering Association (JMA) was recently established with a mission to support the Jordan mountaineering community and develop, promote and preserve sites for future generations. 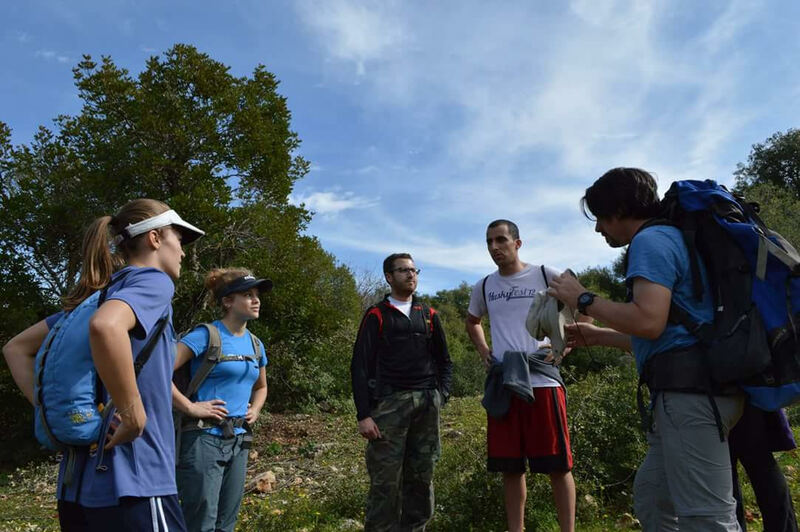 Started by representatives of the mountaineering community in Jordan, with support from USAID and the Center for International Private Enterprise, establishment of the JMA is the first step towards professionalizing the sector and ensuring all Jordanian’s benefit from their country’s natural advantages.
. The economic benefits would extend beyond guides and tour operators to local businesses engaged in community-based tourism. JMA Chair Hakim Tamimi-Mariño is the head of Adventure Tourism at the Jordan Tourism Board. He lists a number of reforms required for Jordan to become a world-class adventure tourism location: licensing and accreditation systems for guides, protection of sites from litter and overuse, insurance for guides and operators, increased financing options for MSEs, training of guides in safety standards and best practices, and close coordination with the local communities that host sites. 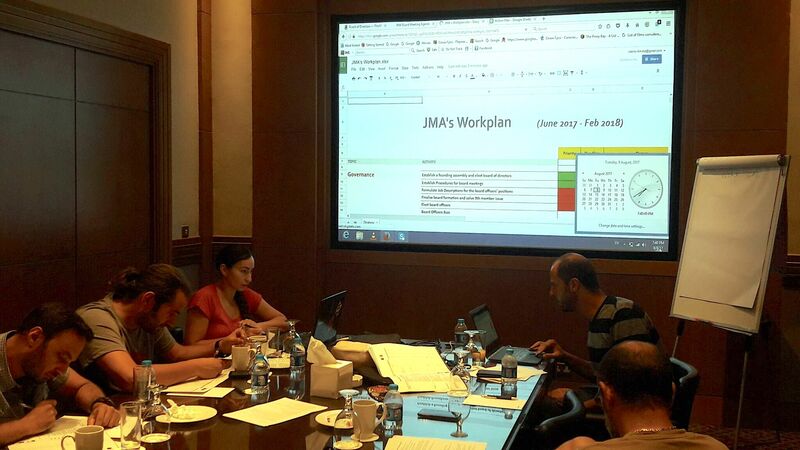 JMA Chair Hakim Tamimi- Mariño (second from left) leads a Board meeting facilitated by CIPE to develop the association’s work plan. The Center for International Private Enterprise (CIPE) has been helping the JMA build its organization and put in place the strategic planning, governance, financial and member service structures required for the long-term sustainability of the organization. CIPE’s work is made possible by a grant from the Local Enterprise Support Project funded by USAID/Jordan and implemented by FHI 360. JMA Deputy Chair Uliana Izzat (far left) and JMA General Assembly members participate in a CIPE training on association governance. 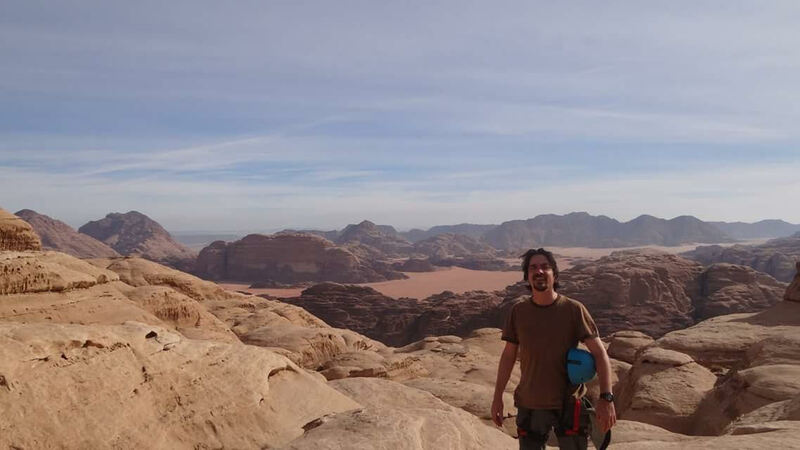 Murad Jan Arslan has been an adventure tourism guide in Jordan since 2007. 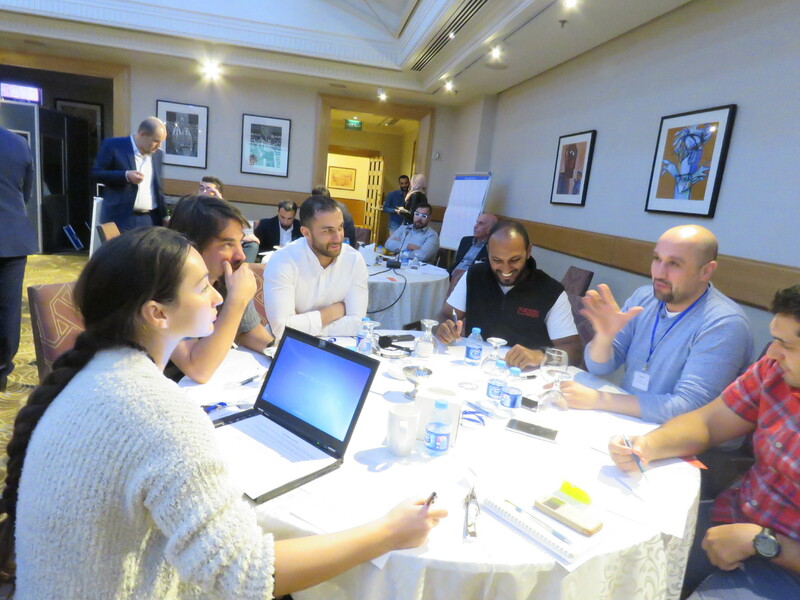 He says by professionalizing the sector, the Jordan Mountaineering Association will lay the groundwork for growth and more opportunities for micro-enterprise guides like himself. (Photo courtesy of Murad Jan Arslan). JMA General Assembly member Murad Jan Arslan has been working as a freelance adventure travel guide since 2007. He regularly leads international visitors on trekking, cycling and canyoning tours. Based on his experiences leading tours and working with international tour operators, Murad is convinced that formalizing the sector, and raising the capacity and standards of micro and small tour operators, will make Jordan a more attractive travel destination for international tourists. “It will make it easier for me to sell Jordan as a destination when I talk with international tour operators.” He looks forward to the increased opportunities this will provide micro-enterprise guides like himself. The mountaineering sector is on the cusp of dramatic growth that will bring benefits to a vast range of communities in Jordan. With assistance from USAID and CIPE, the JMA is leading the effort to implement the changes necessary to support that growth.